Princess Augusta of Bavaria (1875-1964) was the second of four children of Prince Leopold of Bavaria and Archduchess Gisela of Austria. 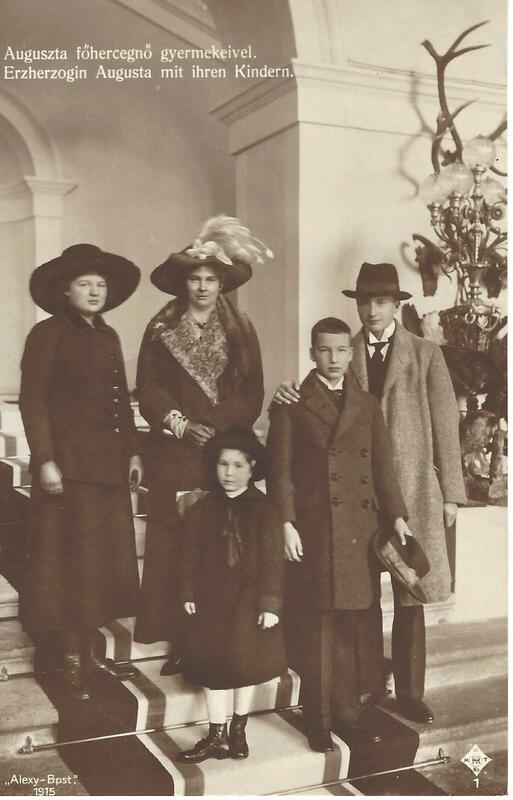 She married in 1893 to Archduke Josef of Austria (1872-1962), who was the fourth child and eldest son of Archduke Josef Karl, Palatine of Hungary, and Princess Clotilde of Saxe-Coburg and Gotha, This image is from 1915. and shows the Archduchess with her four children, Josef Franz (1895-1957) who married Princess Anna of Saxony; Sophie (1899-1978), Ladislaus (1901-1946) and Magdalena (1909-2000). The children of Grand Duke Friedrich August of Oldenburg (1852-1931). He was married twice, first to Princess Elisabeth of Prussia (1857-1895) and then to Duchess Elisabeth of Mecklenburg-Schwerin (1869-1955) He was had one surviving child, Duchess Sophie Charlotte (1879-1964), by his first marriage and three surviving children by his second marriage: Grand Duke Nikolaus (1897-1970) whose first wife, Princess Helene was the sister of Duchess Altburg's husband; Duchess Ingeborg Alix (1901-1996) and Duchess Alburg (1903-2001). 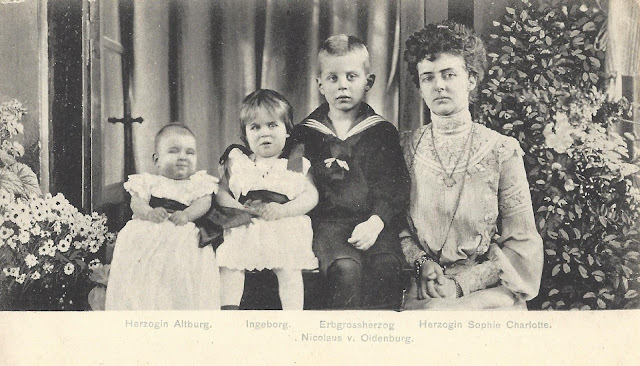 Ingeborg married Prince Stephan zu Schaumburg-Lippe and Altburg was the wife of Josias, Prince of Waldeck und Pyrmont. 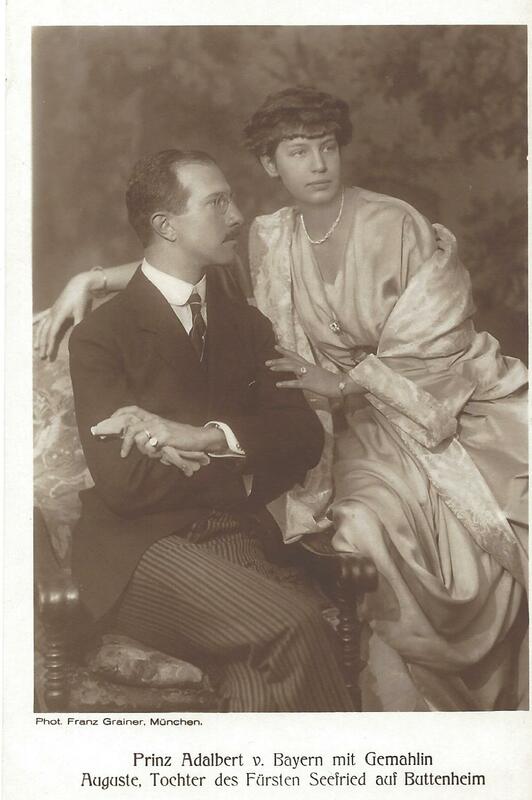 This image is from 1912 and shows Archduke Karl Stephan of Austria (1860-1933) and his wife Archduchess Maria Theresia of Austria (1862-1933). 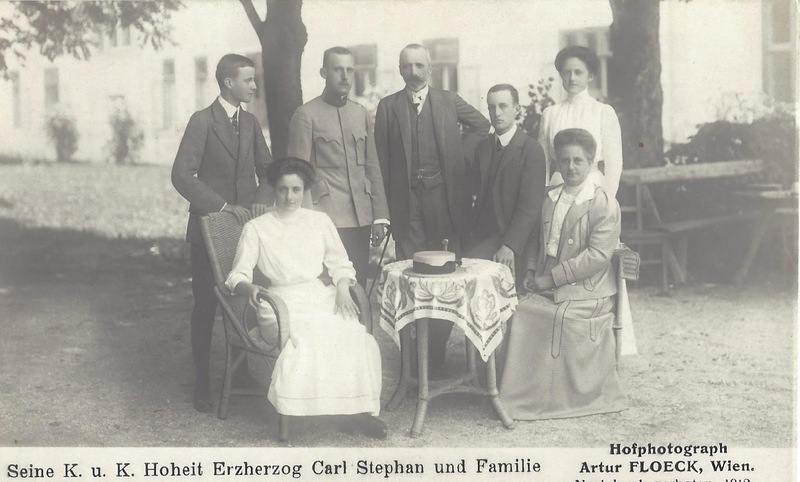 Karl Stephan was the fourth child of Archduke Karl Ferdinand and Archduchess Elisabeth of Austria. Their primary estate was in Poland. 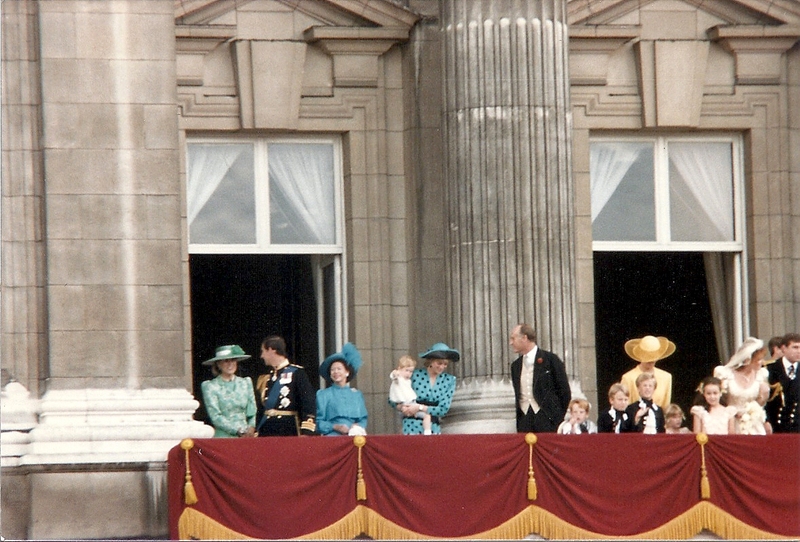 They had six children, but this photograph includes only five as the eldest daughter, Archduchess Renata was already married. Back row; Archduke Wilhelm (1895-1948 as a Russian POW); Archduke Karl Albrecht (1888-1951), Archduke Karl Stephan, Archduke Leo Karl (1893-1939) Archduchess Eleonora (1886-1974). Sitting in the front; Archduchess Mechtilidis (1891-1966) and Archduchess Maria Theresia.